I found out last minute, because we were away on our trip for the month leading up to school, that my youngest would not be attending school the first day as they were dividing the kindergarteners in half for the first 2 days of school. I had an extra day to spend with her before she started school. My heart melted when she asked if we could make one more art in the kitchen sandwich before she started kindergarten. Of course I said yes! She decided she wanted to make a hedgehog and I thought since it was a special day we could use mini chocolate chips for the spikes instead of rice crispies, seeds, or something healthier, she had no objections. This is a cute sandwich you can help your little one make or place in their lunchbox as a cute surprise. Missing my little helper today and our fun kitchen creations we made for lunch. Cut bread into the rough shape of a hedgehog, we went from the bottom corner at an angle and rounded the body. Make your peanut butter and jelly sandwich, saving a little of the peanut butter to “glue” on your chocolate chips. 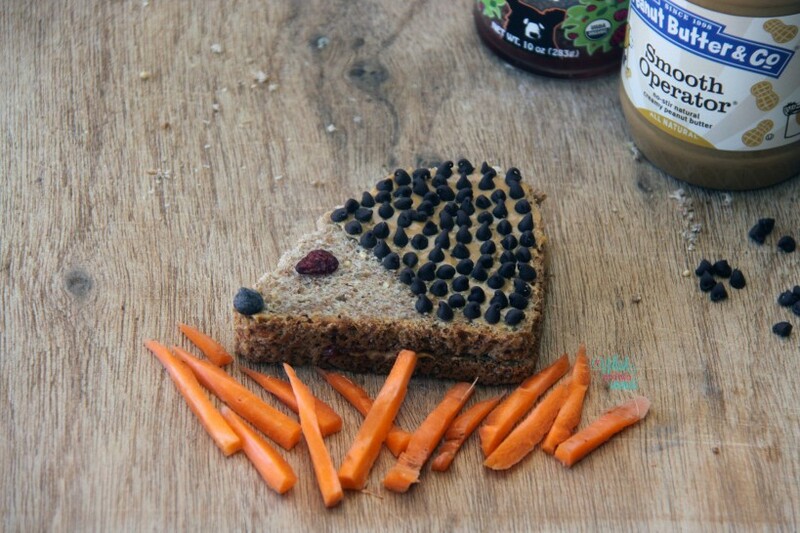 Once sandwich is assembled add a little peanut butter to chocolate chip and cranberry and place on the hedgehog for an eye and nose. 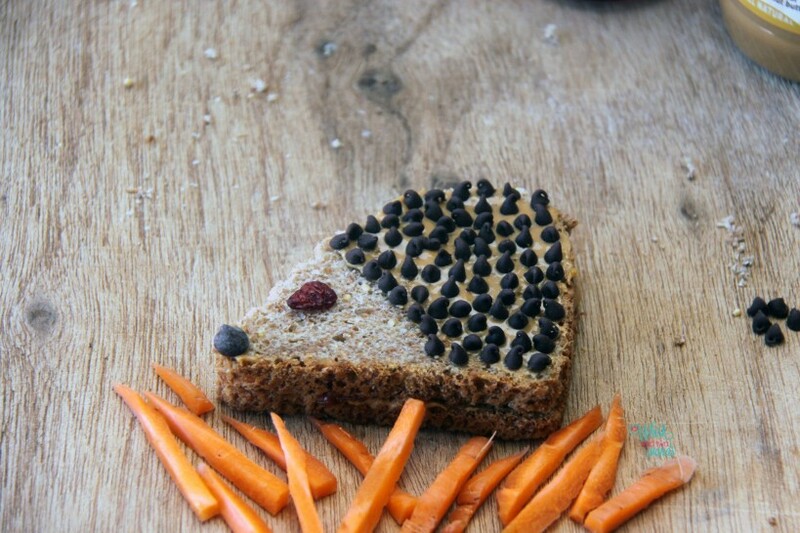 Spread a thin layer of peanut butter on the back hump of the hedgehog and stick on mini chocolate chips. Enjoy! Maybe. It must have been as good as one she ate it pretty quick! OMFG STOP IT! THIS IS TOOOOOOOO CUTE for words! I wish my mom made me things like this when I was younger. Oh wait a second, she would just give me $ for gross school lunches, LOL!